Posted on June 4, 2012	by Lou Murray, Ph.D.
As usual, I’m running behind. I didn’t make a post for Kitchen Cupboard Thursday, where people visit Robin at The Gardener of Eden to report how they used their harvests and stored produce. Hey, better late than never. 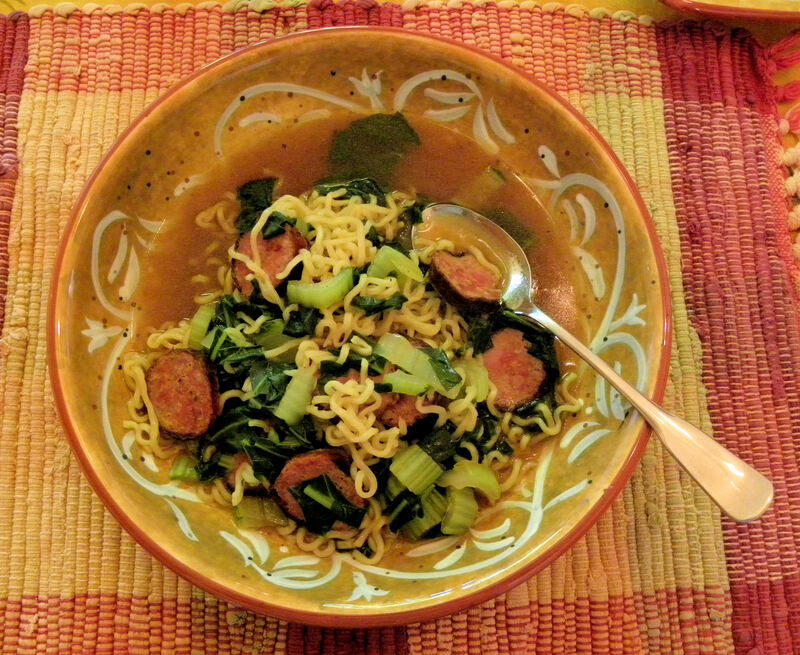 Bok Choy went into some Ramen noodles along with some leftover grilled Hungarian sausage. YUM! 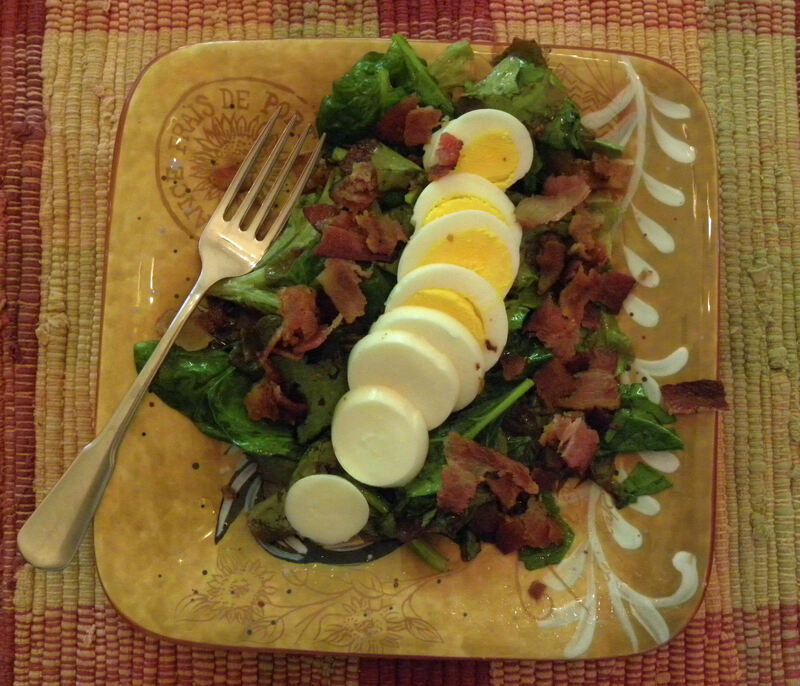 Lettuce from my garden and spinach from the grocery store went into a salad with hot vinegar-bacon dressing, topped with a sliced boiled egg from our hens. 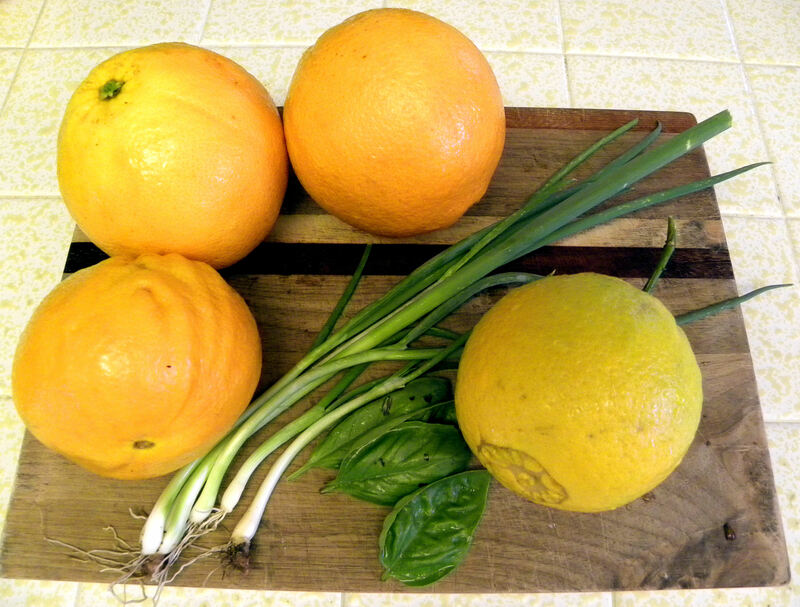 This is the last of our navel oranges for this year. We have lots of baby oranges on the tree, so we should start harvesting again in early January. The green onions and basil went into scrambled eggs from our own hens, along with an avocado from our tree. 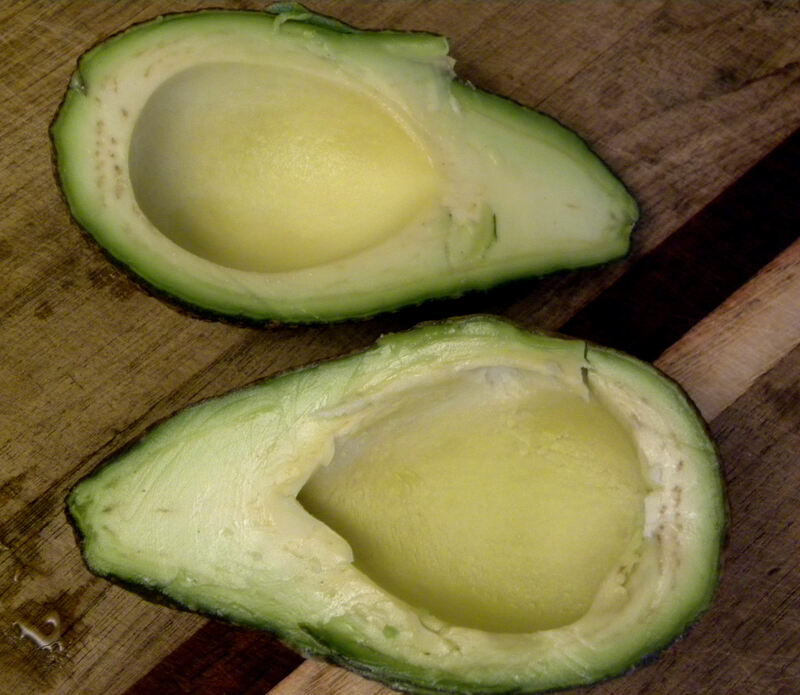 This avocado is just a tad past prime. They don’t ripen on the tree, so I pick them, let them sit in a bowl on the counter, and have to judge the perfect time to eat them. That would have been two days earlier. This one went into scrambled eggs. I have about nine avocados left on the tree from this year’s crop, but I can find only one avocado that has set for next year. This was a lousy year for apple-set too, at least in my garden. 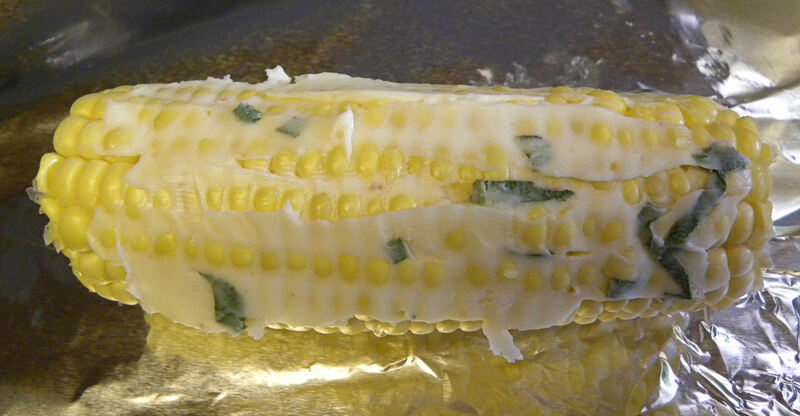 Sage leaves went into sage-buttered corn on the cob. 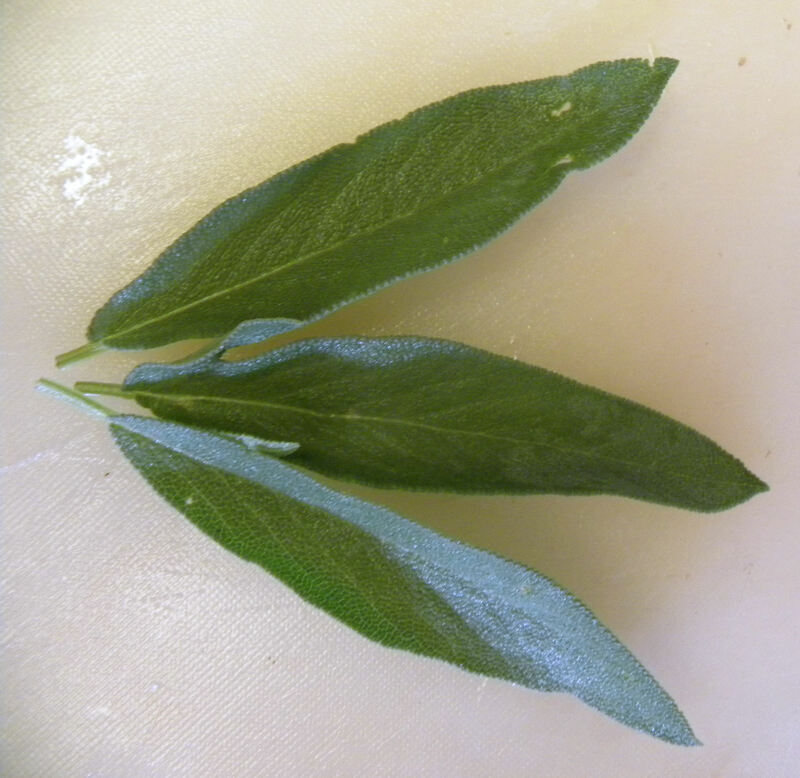 Chop 1-2 sage leaves per ear of corn. Mix with 1-2 T butter per ear, add salt (I used Himalayan pink salt), and spread on ears of corn. Wrap in foil and grill for about 10 minutes, turning once. Whoops, we ate all of the corn before photographing the finished product. Sorry. It was delicious! 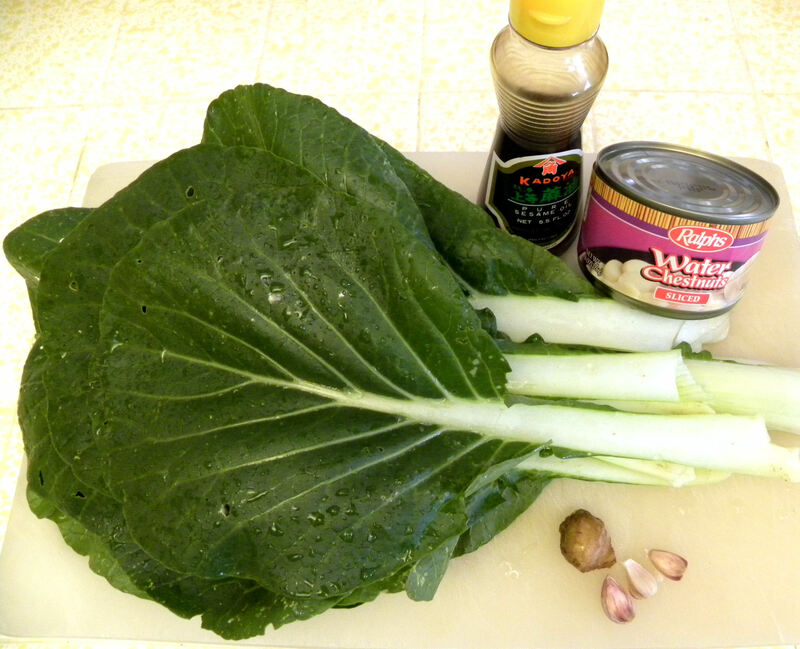 I loved this bok choy and water chestnut dish, but my husband didn’t. The ginger and garlic are from my garden too. Saute the bok choy and garlic in the two oils until wilted. Add the ginger and water chestnuts and saute briefly. Add mirin, stir thoroughly, and serve hot. 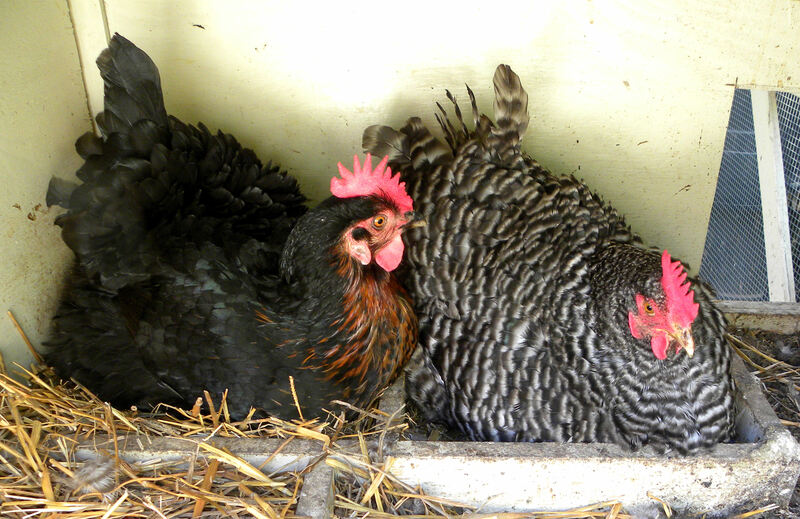 Miss Hillary, on the right, is being broody. She has quite laying eggs and wants to do nothing but incubate. Even if there are no eggs under her. Chicken Little, on the left, is “working.” Right now, she is my only hen that is laying. Henrietta is four years old and isn’t laying much any more. I need Miss Hillary, my youngest hen, back in production. 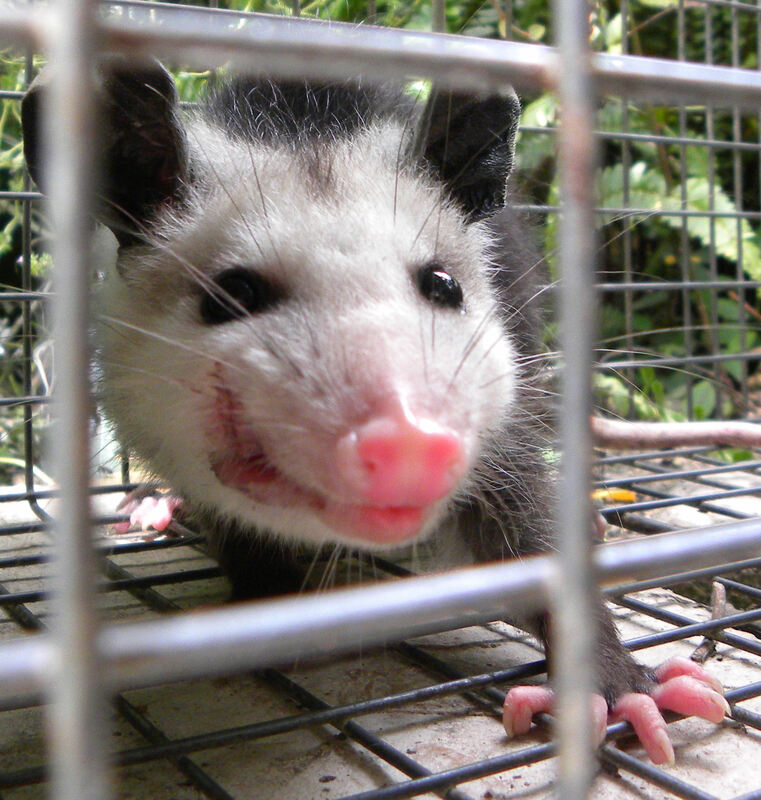 This fierce creature is just a baby possum. It makes #10 caught and relocated this year. I neglected to set my trap for a few weeks, and possums got all the rest of my peach crop, plus half of my plum crop. I only had four plums on the tree, and possums knocked two of them off, bit into them, and left them on the ground because they aren’t ripe yet. Darn possums. I took a bunch of photos of my garden today, but if I post them now I won’t have anything to post tomorrow for Harvest Monday. As it is, I already posted pictures of my harvested produce. Oh well. Go visit Robin to see what others used from their garden this week. This entry was posted in Uncategorized and tagged bok choy, corn on the cob with sage butter, garlic, ginger, Kitchen Cupboard Thursday, recipe, water chesnuts. Bookmark the permalink. I just love that fierce baby pic! Thanks for the great recipe. I have been so so bad about taking pics of my harvests and meals. Robin, I too am bad about eating the food before I photograph it. Especially the strawberries and snap peas, which often don’t even make it to the scale to be weighed. I didn’t know that possums were such fruit lovers. We have seen one in the yard before, but I’ve never seen them do any damage. I hope they stay out of my peaches when the tree is big enough. Daphne, they stripped my peach tree. I managed to get about half the harvest. The nasty little things knock the fruit off before it is ripe. They go after tomatoes too, taking a bite out of each green tomato, ruining it for me. We just keep our trap baited most of the time these days. Possums are no longer welcome in my yard. They do too much damage to the things I love. Charm, they look much more fierce that they really are. This little guy scampered into the bushes when we released him/ her.